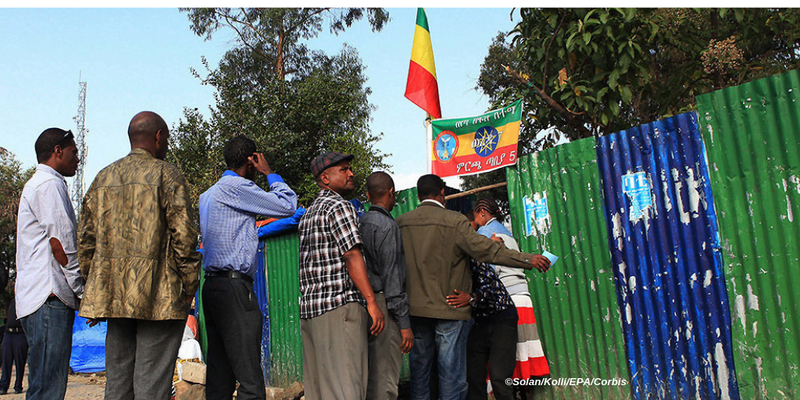 Addis Abeba, March 22/2019 – National Election Board of Ethiopia (NEBE) said it was hard to outline the exact date to hold the Addis Abeba City Council elections due to delays in parliamentary approval of a revised electoral board establishment bill and lack of full board members of the electoral board, according to state owned Ethiopian Press Agency. Fozia Amin, Chairwoman of the Legal, Justice & Democracy Affairs Standing Committee of the House of People’s Representatives (HoPR), on her part contested NEBE’s statement on the lack of full board members of the electoral board and said the parliament knows the board is full. The news came amid growing tensions as a result of a campaign led by former prisoner and activist Eskinder Nega who argues that the city administration is installed illegally and is un-elected by city residents. Citing NEBE’s communication affairs consultant Soliyana Shimelis, EPA said it was unclear when NEBE will hold the city council election since the revised electoral board establishment bill, which is currently at the parliament, hasn’t been approved yet. As of yet the only approved body of NEBE is its chairperson and that the work of fulfilling the remaining electoral board members was not completed, Soliyana said. On November 22/2018, members of HoPR approved Birtukan Mideksa, former judge and opposition party leader, as the new chairperson of NEBE. Parliament’s approval of Birtukan came after Prime Minister Abiy Ahmed forwarded her name as his only choice of nominee to lead the electoral board. The re-organization and selection of new electoral board members can only be done once the revised electoral board establishment bill was approved by HoPR. The bill was prepared by the Advisory Council for Law & Justice Reform formed under the auspices of the Federal Attorney General in June 2018. The Advisory Council, which has already revised Ethiopia’s civil society law, and is in the process of revising Ethiopia’s Anti-Terrorism and media laws, is composed of academicians, legal practitioners, including Meaza Ashenafi, president of the federal supreme court, & government and civil society organization representatives, among others. According to Soliyana, the electoral board was also represented during the discussions to revise the electoral board establishment bill by the Advisory Council. “The re-organization of board members has different sections, among which the first two will be to revise the [existing] electoral law and to reorganize the structure of electoral board members,” Soliyana said, adding, among future activities expected of NEBE will be activities which will be determined based on the new electoral law. 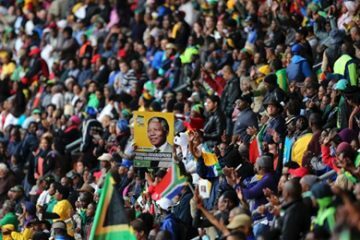 Currently NEBE was engaged at improving the electoral board’s relations with members of political parties, Soliyana said. Ethiopia follows an electoral system commonly known as the first-past-the-post (FPTP). However, this system has come under heavy criticism following two consecutive elections in which the ruling EPRDF claimed total victory (above 99% in the case of the 2015 general elections). Revising the electoral law was one of the reforms PM Abiy Ahmed promised his government would do before the next general elections in 2020. Fozia Amin of the Legal, Justice & Democracy Affairs Standing Committee of HoPR on her part insists the revised electoral board establishment bill was sent to the standing committee one day before parliament was due to close for recess. Upon return from recess, the standing committee organized a hearing on the bill and invited all stakeholders, including the electoral board, to participate in the hearing. However Fozia said turnout was low. The bill can only be approved once all stakeholders took part in the parliamentary hearing, Fozia said, and added that parliament has once again invited all stakeholders to take part in the hearing scheduled for Monday March 25/2019. She also hinted that regardless of turnout by invited stakeholders, the revised electoral board establishment bill will be approved by the parliament within the same week. However, Fozia emphasized that the revised electoral board establishment bill does not mean the parliament has received other revised electoral regulations and laws. She also dismissed as unacceptable the notion that the Addis Abeba City Council elections cannot take place before new board members were organized. If NEBE stays its course and postpones this year’s election for city council, it will be its second postponement. In April 2018 parliament has voted to postpone the Addis Abeba and Dire Dawa Cities Council as well as local elections scheduled to be conducted in May 2018. As of late, Eskinder Nega has locked horns with the current city administration led by Deputy Mayor Takele Uma after Eskinder repeatedly accused the deputy mayor of being an illegitimate mayor. His campaign has eventually led to the establishment of “The Addis Abeba Caretaker Council,” alternatively called “Balderas Council”, following a town hall meeting Eskinder organized in Addis Abeba on March 10/2019. In what appeared to be a response to the announcement by “Balderas Council”, the city administration council issued a lengthy statement stating that the current city administration was formed following NEBE’s decision to postpone the city council elections, and in accordance with the city’s revised charter proclamation No. 1094/2018. Proclamation 1094/2018 was revised in July 2018 and was approved by HoPR, replacing proclamation No. 361/2003, which stated the city council is mandated to elect, “among its members, the city mayor and deputy mayor.” Proclamation 1094/2018 revised the previous by adding “the Deputy Mayor shall be appointed either from Member of the Council or from a non-member of the council.” However, critics of the deputy mayor cite the revision of proclamation 362/2003 as case in point to “install” Takele as city’s mayor. Takele Uma was not a member of the city council when he was appointed as deputy mayor with the rank of a mayor. At the same time, both Dagmawit Moges and Dr. Solomon Kidane were appointed by the city council to become deputy mayors. But since then, Dagmawit Moges has moved to lead the ministry of transport and was replaced by Endawek Abite, former head of Ethiopian Sugar Corporation. Yesterday’s statement issued by the 138 seat City Council further accused “some elements” of attempting to sow discord among city residents accusing the city administration as illegitimate.